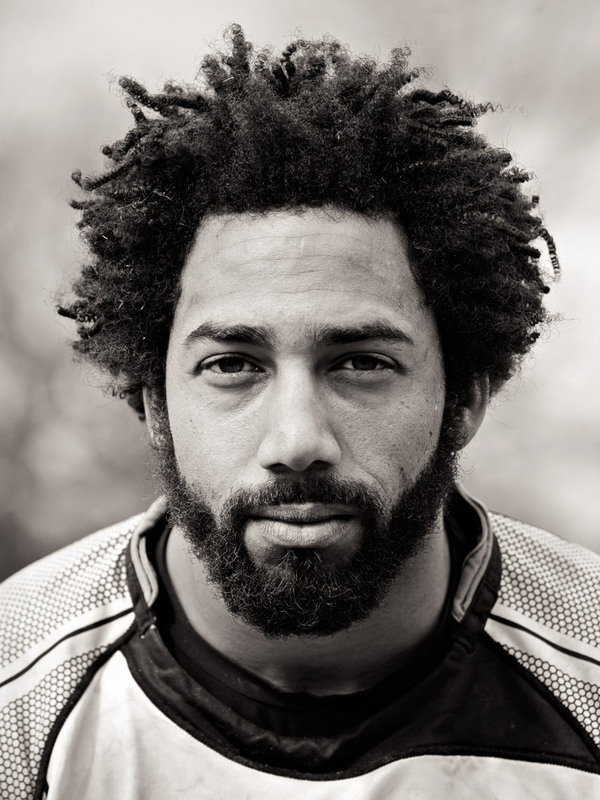 Black and white portrait of African American rugby player looking directly at camera. Photograph taken at rugby game in Atlanta. Sports lifestyle photograph taken in a portrait style by Atlanta based location, sports and fitness portrait photographer Nick Burchell.